By and large, the reason for a meeting is seen as being to get data from one individual by someone else who solicits an arrangement from inquiries in a legitimate succession to achieve a particular target. This definition may similarly be connected to mentors, analysts, specialists and other "talking treatment" professionals. It likewise applies in business to specific jobs in the HR, deals and promoting divisions, and so on. One gathering that probably won't fit into this definition are Legislators all things considered. Very regularly, their particular (and implicit) objective is (more often than not) to NOT answer the inquiries asked and just push the reactions that their stage/party need. 1. Expanded, mind boggling and indistinct inquiries. Conceivable the most widely recognized mistake gives off an impression of being that the questioner has not arranged obviously characterized inquiries that are drafted so that leaves no uncertainty about what is being inquired. Numerous questioners regularly go into long and entangled preludes previously really achieving the essence of the issue as opposed to coming to the heart of the matter. How might somebody be required to answer a dubious, gravely organized, tangled inquiry obviously? Frequently the subsequent reaction is indistinct, unseemly or "unrelated"to the inquiry. 2. Not evaluating the reaction. There gives off an impression of being an inclination NOT to evaluate the reaction required by requesting unmistakable subtleties, for example, "What three things would you... ?" or "What is the particular timetable for XYZ in the following month?". This oversight implies that the reaction can be as long or as short as the respondent needs. The "Twofold Tie" includes bolstering the respondent with two conceivable choices or two conceivable reactions/arrangements: E.g., "Should the administration do XY& Z or Abdominal muscle and C?. It is commonly considerably more successful to ask "What precisely should the legislature do?" (at that point quit talking, and look quietly at the respondent until they answer). 4. Not asking follow-up inquiries. It appears that numerous questioners lean toward not to ask follow-up inquiries or are told not to - particularly if contacts a region that may be questioning here and there. One approach to do this is to utilize an echoic reaction of the reaction to the inquiry as an extension into a subsequent inquiry intended to remove increasingly point by point data. 5. Dread of estranging or "culpable" the interviewee and the conceivable outcomes. This is regularly firmly associated with the past point: Much of the time the questioner fears that on the off chance that they are excessively "proficient" (read "pushy") in endeavoring to find increasingly itemized solutions, the subject may decline to work together with the questioner, their association or achieve unforeseen and unfortunate results to every one of those included. 6. Not utilizing intelligent Correspondence (both verbal and non-verbal). 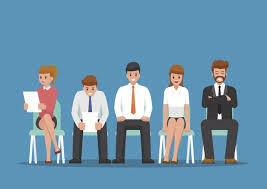 On the off chance that a questioner needs to set up affinity quickly with the interviewee, it is essential that they figure out how to "pace" and after that "lead" both the verbal and non-verbal correspondence of the subject. At the point when the questioner "paces and leads", they are mentally making a community oriented impact in the intuitive of the other individual which implies that they will in general feel progressively good and be all the more eager to open up additional. At the point when the spoken and non-verbal correspondence are unique, they will in general initiate a conflictive recognition in the subliminal personality of the interviewee. Note that individuals reflect back the subliminal observation that they have of the other individual. A straightforward test to find the level of compatibility between individuals is to watch their non-verbal correspondence. In the event that the compatibility level is high, the non-verbal communication will be fundamentally the same as and if affinity is low, it will be altogether different. At the point when the questioner has not arranged clear and brief inquiries, every now and again it results in the interviewee not noting the inquiry and redirecting the theme to the territory that is their principle intrigue. As often as possible, the outcomes acquired are that the appropriate responses might be shifty, befuddling, fragmented or wrong on the grounds that the respondent has needed to tune in to, and rationally process, all the "waffle" that went before the inquiry while additionally attempting to set up a significant reaction. At the point when the "twofold tie" has been utilized, the inclination is to reflect back the last alternative referenced by the questioner - This is known as an "Echoic" reaction and frequently shows that little genuine idea has gone into the reaction. Each meeting has a reason and it is dependent upon the questioner to figure out what their destinations are - shared or conflictive - and pick the most proper strategies to achieve their objective. Very regularly, the interviewee is treacherously delegated being "troublesome", "hesitant", "uncooperative", and so forth., because of the absence of aptitudes and/or readiness and conduct of the questioner instead of perceiving that the questioner frequently shares an extensive piece of the fault for this discernment. The creator has been infatuated with dialects and correspondence since the age of 11. He has burned through the vast majority of a fascinating and brilliant life being included with dialects: getting the hang of, instructing, research and Examination, and afterward expanding his insight into different zones, for example, Kinesics, psycholinguistics, sociolinguistics, grown-up training, ericksonian entrancing, Neuro Phonetic Programming and a scope of different regions. A large portion of his customers are in the Social insurance, Data frameworks, Terrific utilization, travel and transport, Sustenance, drink and Hostelry businesses and furthermore governmental issues.